The term ‘convalescence’ refers to a period of recovery or recuperation, and where better to do it than in the beautiful surroundings of Chilton House? Here at the home, we offer full convalescent care, catering to a variety of needs with a focus on getting the person back to good health and ready to continue living independently. Unlike our traditional care packages, convalescent care is a short-term solution, perfect for those who are recovering from illness, surgery or a hospital stay. It can be as short as a few days, or as long as several months, depending on the needs of the individual. 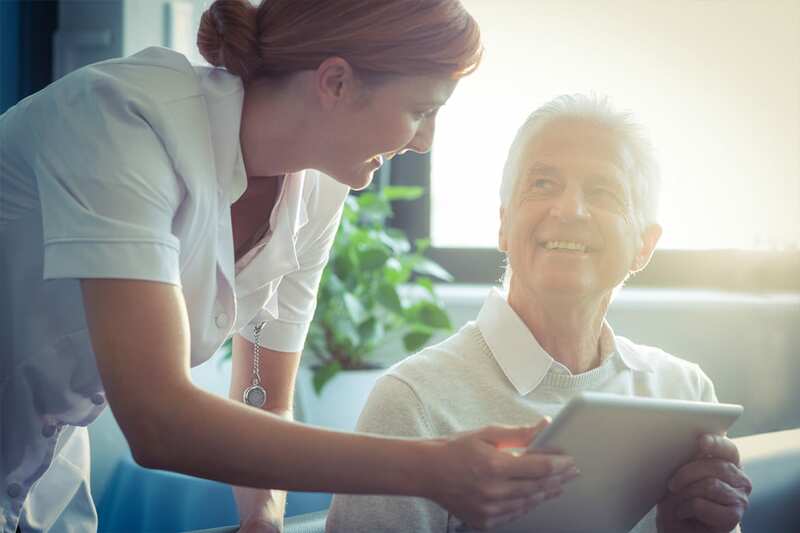 If you’re wondering what convalescent care is, here’s what you need to know. At Chilton House, we have years of experience in caring for people following surgical procedures. In particular, our team have extensive hands on expertise in looking after those who have undergone joint replacement, spinal surgery and other general surgical procedures. We also care for those living with a variety of conditions, from cancer and stroke to MS and Parkinson’s Disease. Research has shown that opting for professional convalescent care in a home like ours can speed the recovery process significantly. Because we have access to all the equipment, expertise and therapies you’ll need, you will find all your needs are catered for with no waiting around or ‘making do’ in the meantime. Families are also relieved of the burden of caring for someone with particular needs, and everyone can enjoy peace of mind that you’re receiving the best care possible. Physiotherapy: Crucial if you’re recovering from a hip operation, broken bone or have been immobile for some time, a course of physiotherapy is designed to get you back on your feet and feeling confident about your mobility. Speech therapy: Following strokes or neurological problems, some individuals require support with getting their speech back to normal. We have access to the right expertise to help with this. Psychological counselling: Often, when someone has been through a traumatic experience, whether an accident, death in the family, heart attack or serious illness, the psychological damage is as bad as the physical. We have the right people on board to address your mental health as well as your physical needs. Doctor services: Our visiting doctors can help with check-ups, prescriptions and a variety of other GP type services. With our help, you can get the right expertise on your side right when you need it, without the need to leave the comfort of your accommodation. Talk to us about your own situation, and we’ll let you know how we can help. Everything we do is geared towards getting you home and confident to continue living as you were before. While you’re with us, you’re welcome to join in with any activities that are going on in our home, as well as enjoying our delicious meals, day trips and more. If you prefer, you can simply relax in your beautifully appointed room, complete with TV, en suite and a comfortable bed. For more information on convalescent care at Chilton House, get in touch with us today.